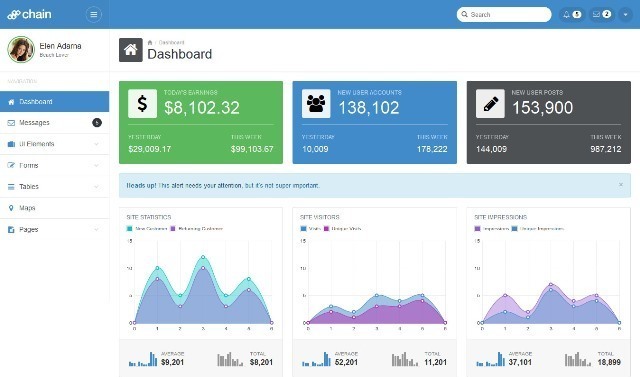 I have collected 25 best bootstrap admin dashboard templates for your projects. 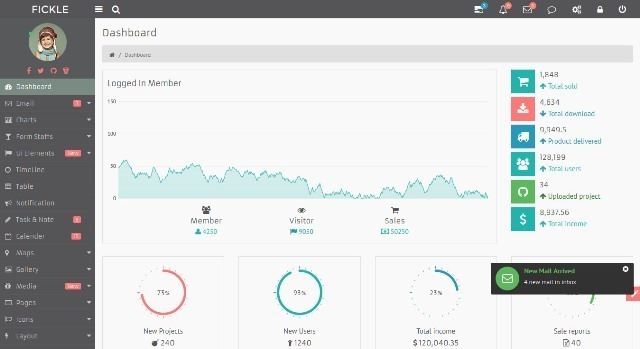 These templates are fully responsive and easy customizable templates. It can be used to build all kind of web projects. 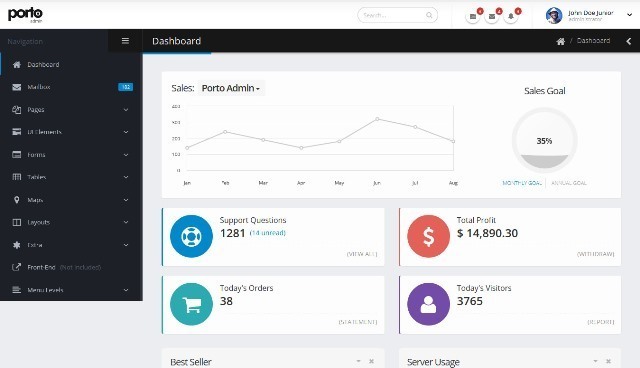 Kode is Responsive Admin Template based on Bootstrap 3. 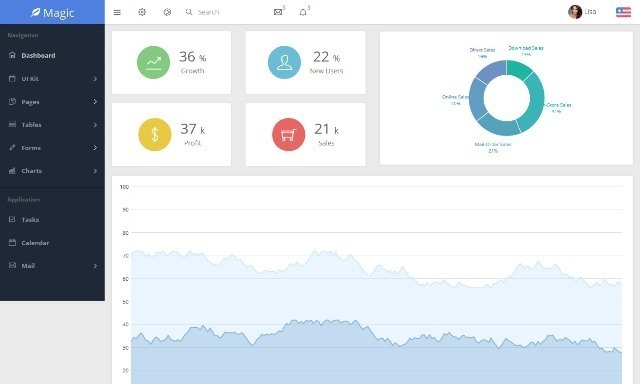 You can use Kode for your projects, web applications or as eCommerce dashboard. 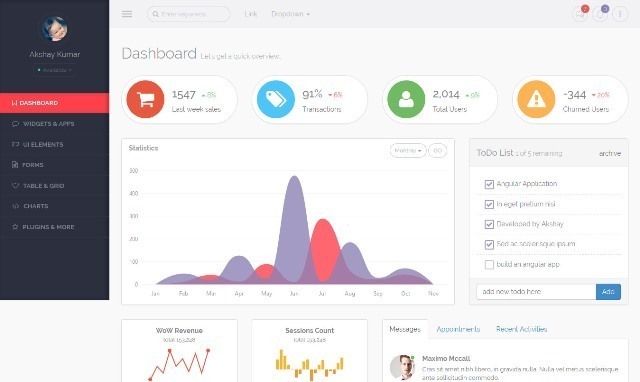 Features are Fully responsive for phones and tablets, Dashboard widgets, Bootstrap 3 based, Retina ready, Special mailbox design, Over 500 font icons, Cross-browser compatible and much more. 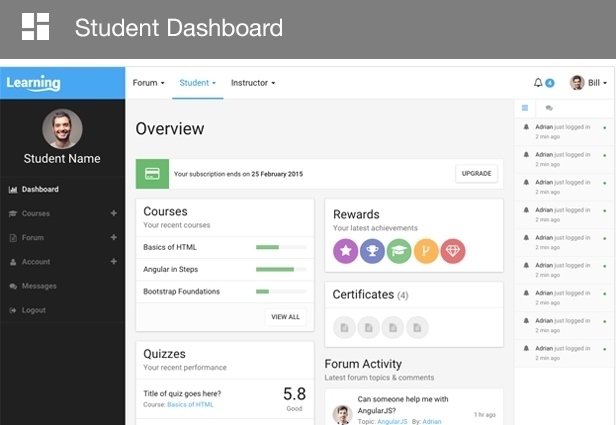 Learning App is a complete html boilerplate for a start to end learning management system application and with industry specific components covering everything needed by a LMS app. Features are Responsive layout, Flat UI with clean style, Retina support, HTML5 / CSS3, Expandable Sidebar, Off-canvas left and right, Based on Twitter Bootstrap 3.3.2, Font Awesome 4.3.0, 6 Colors themes and much more. 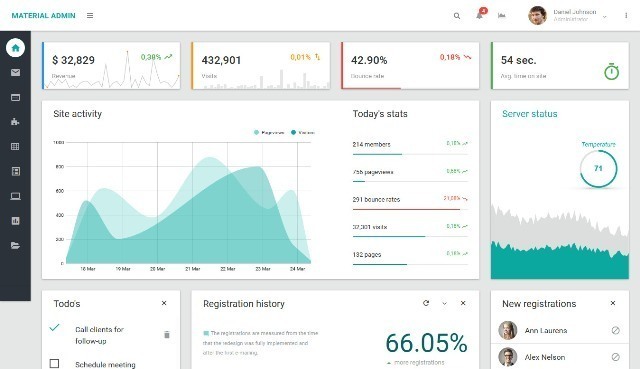 Pleasure is a Material Design Responsive Admin Panel Template with Bootstrap 3.3.2, +65 Template Pages, jQuery 1.11, LESS Support, Responsive, Font Icons, Charts and more. 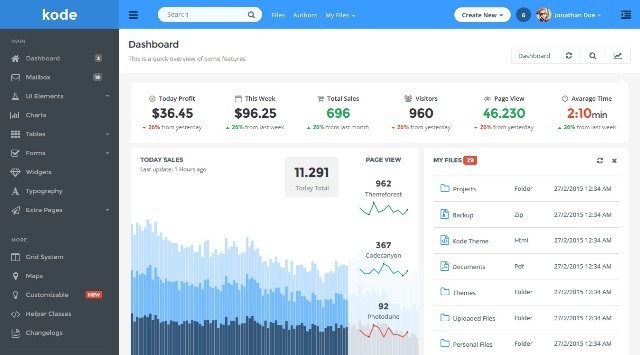 The AdminDesigns UI Framework is more than your typical admin dashboard. 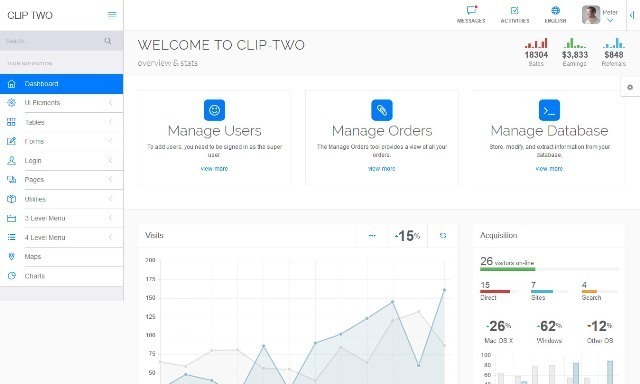 Built on Bootstrap 3 it contains the tools you need to make your next project web app a success.It includes custom tools unique to the AdminDesigns framework, aswell as countless handpicked and optimized plugins. 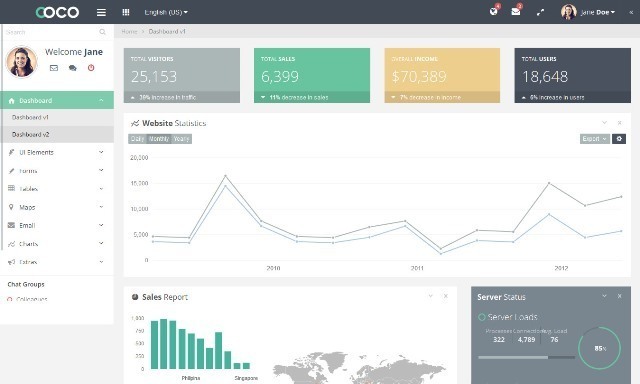 Singular is an AngularJS Single Page Application based on the Bootstrap 3 framework. 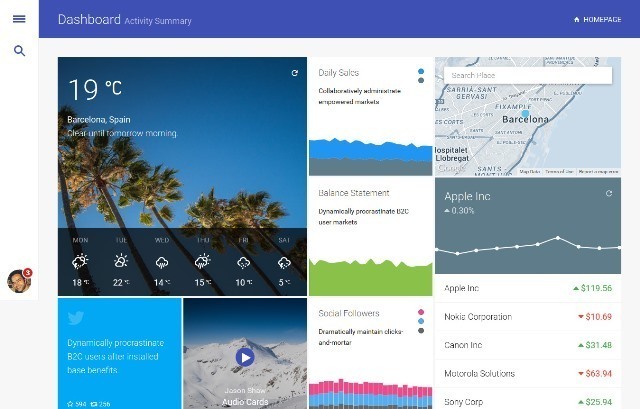 Features are AngularJS 1.2.26, Bootstrap UI (angular directives), Translation ready and RTL support, Toaster notifications, Angular GMaps and more. 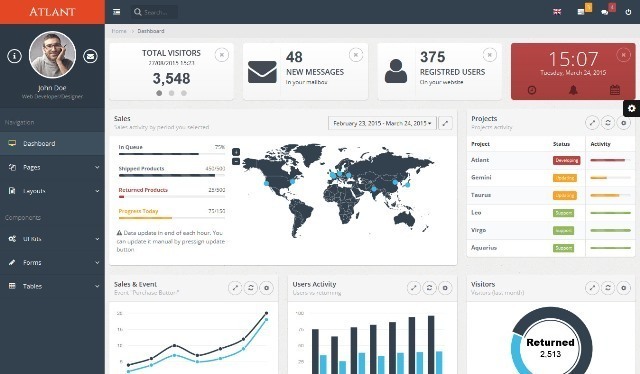 Brio responsive Admin template built with bootstrap 3.2.0. 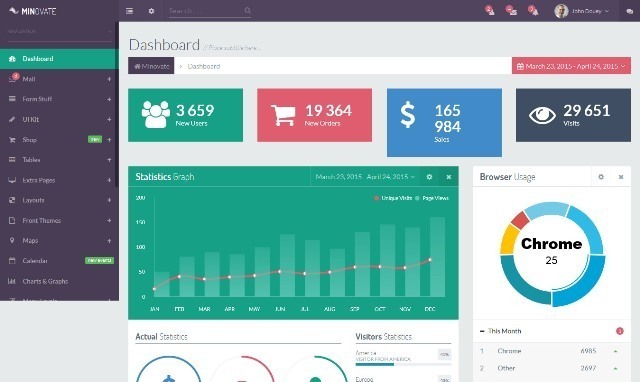 Magic is a fully responsive admin web app template with Bootstrap 3 and AngularJS. It uses Sass CSS which makes it easy to modify. (The latest version is v1.4.1). 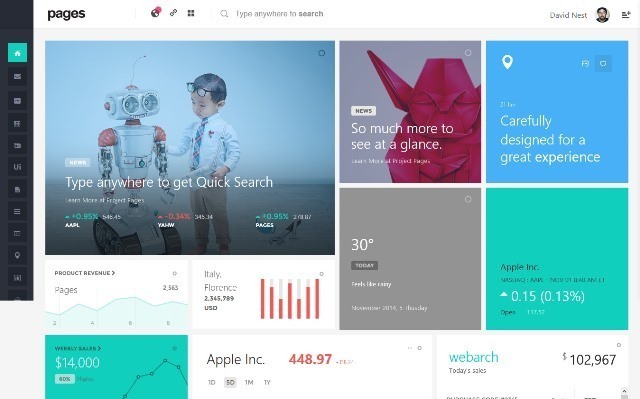 Features are Responsive Design, Multiple Colors, Clean JS Code, Built with Sass, Bootstrap 3, Retina Ready and more. 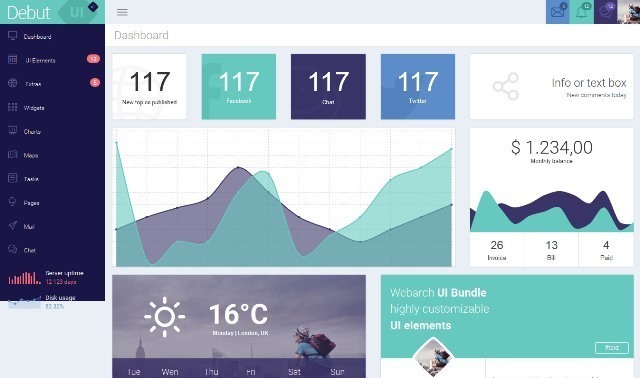 HeyMetro is a Responsive Web App Theme with AngularJS and Bootstrap. 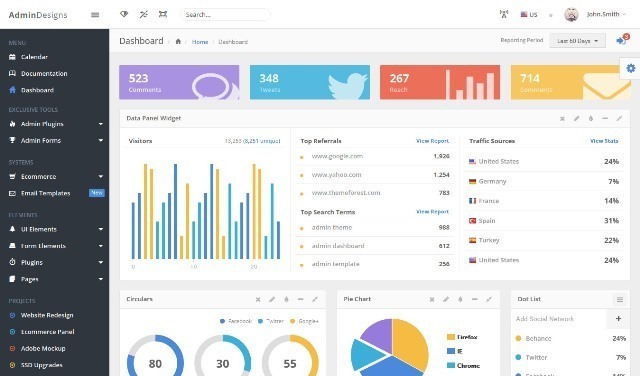 Atlant is a powerful admin template based on Bootstrap 3.3.2. Template is fully responsive and retina ready which means it is compatible with mobile devices such as iPhone and iPad. 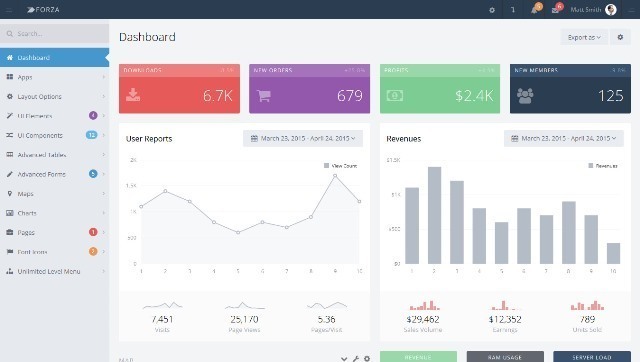 Fickle is a Bootstrap Responsive Admin Template. This template focuses on having a simple, clear design, while providing the most commonly used and a rich collection of elements on web apps. 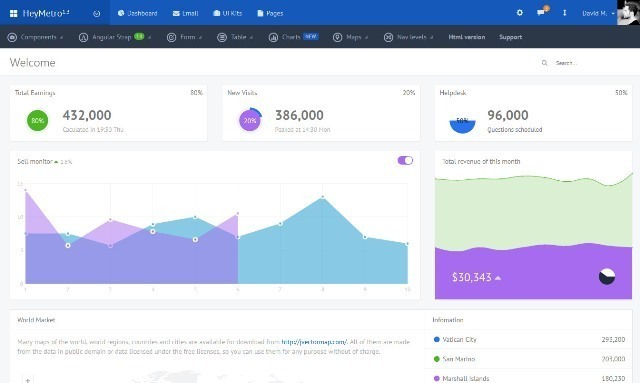 AppUI is a fully responsive and full featured Web App and Admin Template powered by the popular Bootstrap 3.3.2 framework. 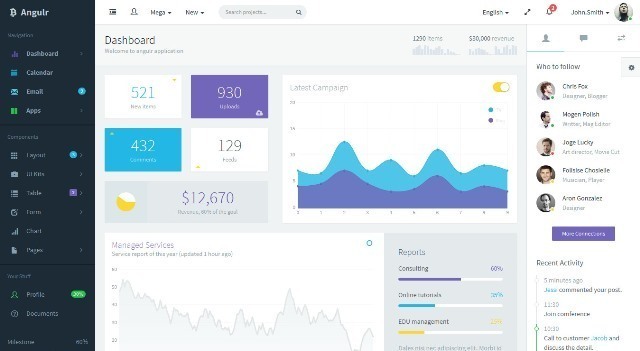 AppUI is a professional, premium and flexible Bootstrap Admin Web App Template that can be used to build all kind of creative projects: Web Applications, Backend Websites, Custom Admin Panels, Admin Dashboards, CMS, CRM or even a custom Website. 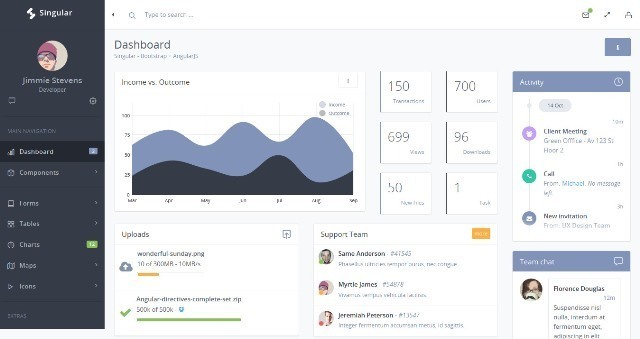 Chain is yet another Bootstrap 3 Admin Template with jQuery plugins that is perfect for your next projects. Features are Built using Bootstrap 3, Clean and Modern Design, Valid HTML5 and CSS 3, UI Elements, Fully Responsive, Retina Ready and more. 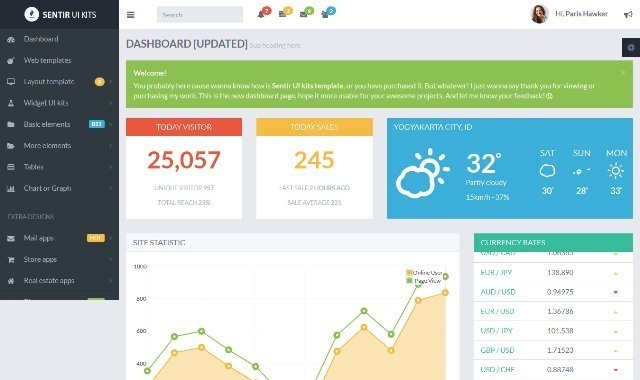 Porto Admin is a professional admin template, it’s fully responsive design ready to look stunning on any device. 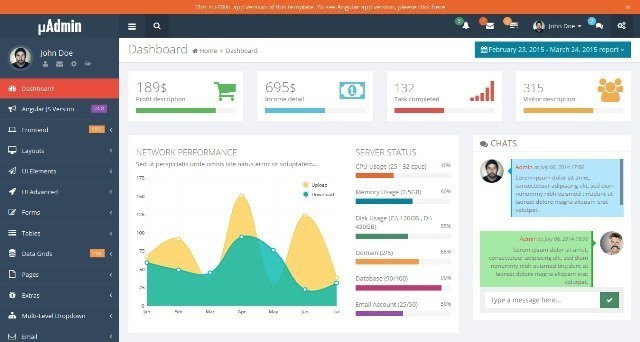 The template comes with 60+ HTML pages built using Bootstrap 3. 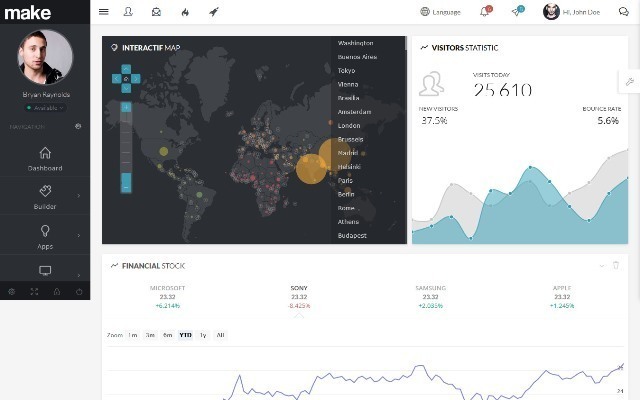 Forza is a modern, forward-looking web application framework built with AngularJS and LESS. Forza is at the cutting-edge of modern web development. 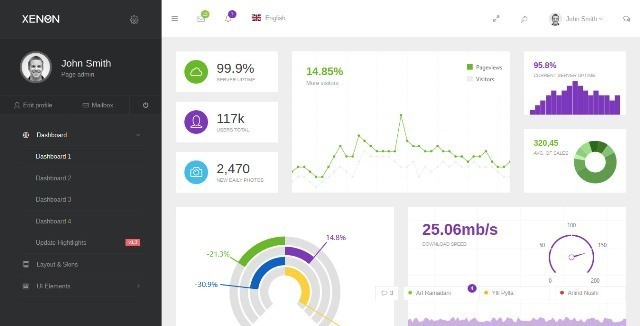 The theme is lightweight and responsive powered by the latest Bootstrap 3 framework. 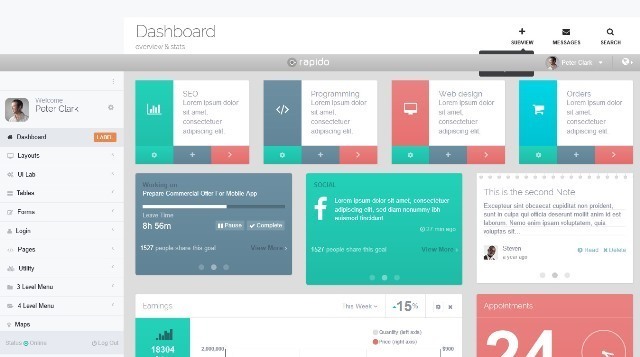 Rapido is the tool designed by Clip-Theme to fulfil every possible need of those developing a completely responsive and “mobile first” web project. Features are 100% Fully Responsive, Bootstrap 3.2 Framework, 100% Fully Customizable, 10 Color Themes, jQuery 2.1.1, Full SASS Support and more. 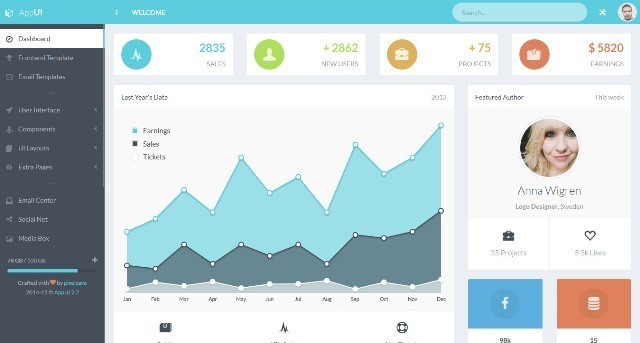 Sentir is a Bootstrap based web apps template which has more than 40 widget kits, and also has 5 ready web apps design. With more than 75 page files available, which you can easily customize.